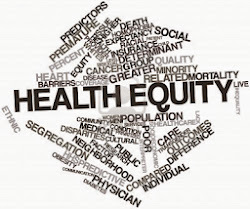 The Health Equity Blog’s mission is to contribute to the discussion of health policy using evidence and research, to explore the opportunities for health equity through policy change, to raise awareness about health disparities, and to increase public advocacy for health equality. Achievement of full health potential is necessary in all aspects of life – from running errands to relationships with loved ones. Some people are born into environments that limit their ability to achieve their full health potential. We believe that because society created many health inequalities, society can also fix them. Day three of our Thanksgiving countdown is here. We know many of you are already starting to cook in preparation for tomorrow’s big feast, but take a minute and check out some awesome health policies to be thankful for. The United States lacks a national standard for sick time. Not only do millions lack paid sick days, million of people also lack a guarantee that they can’t be fired for being sick. One state, Connecticut (Public Act 11-52), has legislation requiring paid sick time. Seattle, Portland, San Francisco, Milwaukee, and Washington D.C. have passed city laws regarding paid sick time. Many more states and cities are actively working on paid sick day campaigns. To find out the details in legislature in states and cities, check this report. According to the Economic Policy Institute, roughly 40% of private sector Americans do not have paid sick days or even policies that allow them to call in sick without fear of termination. Women, minorities, and low-income people are all less likely to have paid sick days. Sick people do not prepare your food. Eighty-two percent of workers who make less than $8.25 an hour do not have sick time. Yup, those are people that work at restaurants. People stay home when sick. People without sick time are 1.5 times more likely to go to work with a contagious infection. The American Public Health Association found that giving all employees paid sick days, the spread of the flu is reduced by 6%. The national economy is better. If employees were offered seven sick days a year, the national economy would save $160 billion a year from reduced turnover and increased productivity. Kids can stay home sick. Just like going to work sick, sending kids to school sick spread viruses. When a child can see a doctor in a timely fashion and rest, ER visits and chances of recurring illness goes down. Decreased healthcare costs. A study found that if all workers had paid sick days, 1.3 million ER visits could be prevented. ER visits are a huge cost and costs taxpayers billions. People without sick time either wait too long to go to the doctor (the illness becomes an emergency) or they are unable to go to the doctor during the clinic’s hours. Paid sick days, including time off for ill family members, is essential. No one should be fired for a cold or because they had to bring a sick child to the doctor. Since low-income people, women and minority workers are less likely to have paid sick time, lack of policy around this issue increases the health disparities already apparent in these groups. The HIV Organ Policy Equity (HOPE) Act. The HOPE Act was introduced in February of this year as a bipartisan bill. Both the House and Senate passed it unanimously and President Obama signed it into law this month. The act allows the Department of Health and Human Services to research whether HIV positive to positive organ donation is feasible. If the research shows that positive to positive donation is possible, the Act could save hundreds of lives. It would help the hundreds of HIV positive patients waiting for organs get them faster, and it would shorten the list for non-HIV positive patients. As a bonus, this Act also shows that there is still such a thing as bipartisanship in congress. We haven’t seen both parties work together to pass a law in a while now, so this gives me hope. 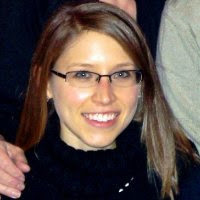 Emily is a Patient Center Medical Home Coordinator at a Federally Qualified Health Center with a Master of Public Health and Master of Public Administration from the University of Washington. Emily is interested in policies and programs to prevent the onset of chronic diseases, especially obesity.